Sara Lee Snacks have a new treat. Peanut Butter Creme filled cakes are a great snack. They are sweet and rich. If you are a chocolate lover, you will enjoy these. They are made with real peanuts. Sara Lee Snacks are baked by Bimbo Bakeries USA. Individually wrapped for you to take on trips or bring to the playground. Now that the weather is getting warmer, I decided to put a box in the fridge. My son liked how it was cold but still delicious. You know how kids get around chocolate. 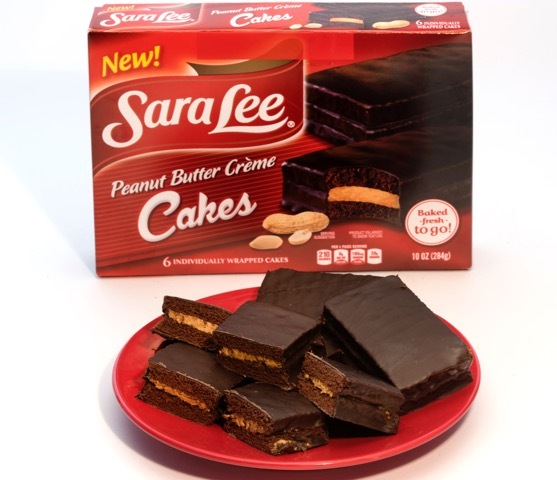 Sara Lee Snack has a variety of yummy goodness for you to try with the family. They also have donuts and cupcakes. What are your favorites? Do you love chocolate and peanut butter? Crème Filled Cakes, Five Sara Lee® Snacks Coupons valued at $4 each, and one custom Sara Lee® Snacks Travel Leisure Blanket valued at $15! Giveaway is open for US, 18+ only. Use the rafflecopter form. Prize will be mailed by Sponsor. Update: Congrats to Winner Julie.